Digital Music allows customers to have permanent and unlimited access to music content. The worldwide revenue of US$12.0 billion in 2018 is expected to grow to US$13.6 billion in 2023. 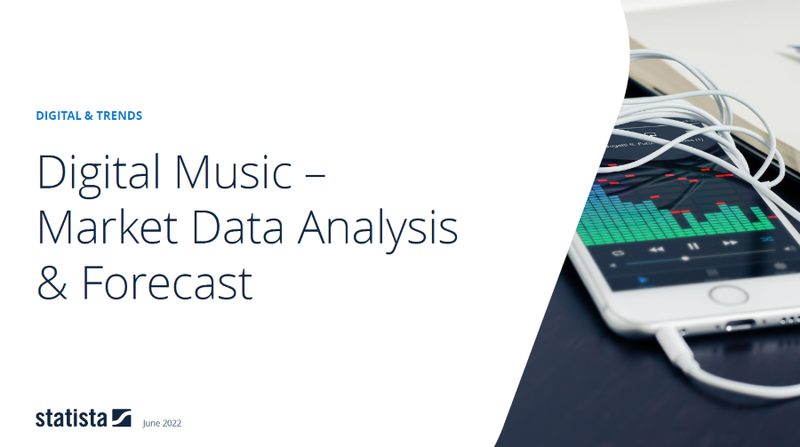 The report covers the Digital Media segment Digital Music. Digital music is defined as audio content that is distributed to the end-user over the Internet. This includes paid digital downloads of professionally produced single tracks or albums/compilations as well as on-demand streaming services, either subscription-based or ad-supported. Internet radio, video streams and audio books are not included.